The 2016 European Flat season is still in its infancy but Zoffany notched his third stakes winner of the year on Monday when Dolce Strega (3f Zoffany-New Plays, by Oratorio) came out on top at the Curragh. Renzo Forni’s home-bred, an easy conditions race winner at Dundalk in April, took the G3 Canford Cliffs EBF Athasi Stakes for trainer Willie McCreery and jockey Billy Lee. “When I went up to Dundalk I thought she was thrown in so if she had been beat I would have looked a right eejit!” said McCreery. “But she was able to come on here and it all worked out. "She's tough and strengthened up a lot of the winter. Billy gave her a brave ride. He got caught in a pocket and I wasn't sure he would get there. The owners bred her so I'm delighted for them. "She got a mile last year when she was second in a Listed race here. 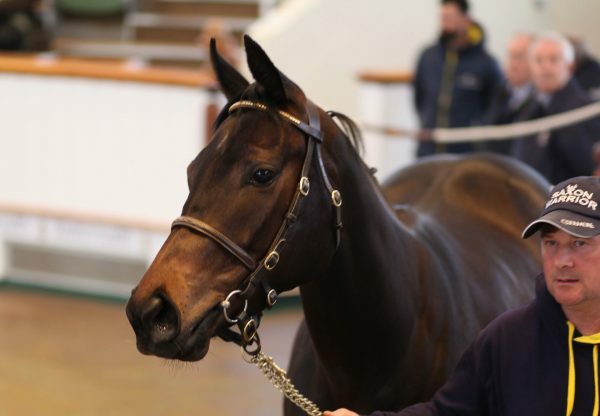 Seven or a mile suits as she travels so well and is a very good moving filly."